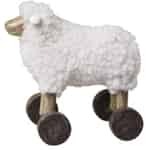 This Small Chic Antique Sheep on Wheels is bound to impress with its sophisticated retro look. 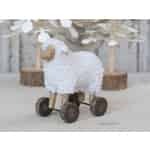 This adorable sheep is a fantastic Easter decoration for your home or the office desk at work. We love the contrast between its soft body and the wooden face, ears, legs, and wheels. 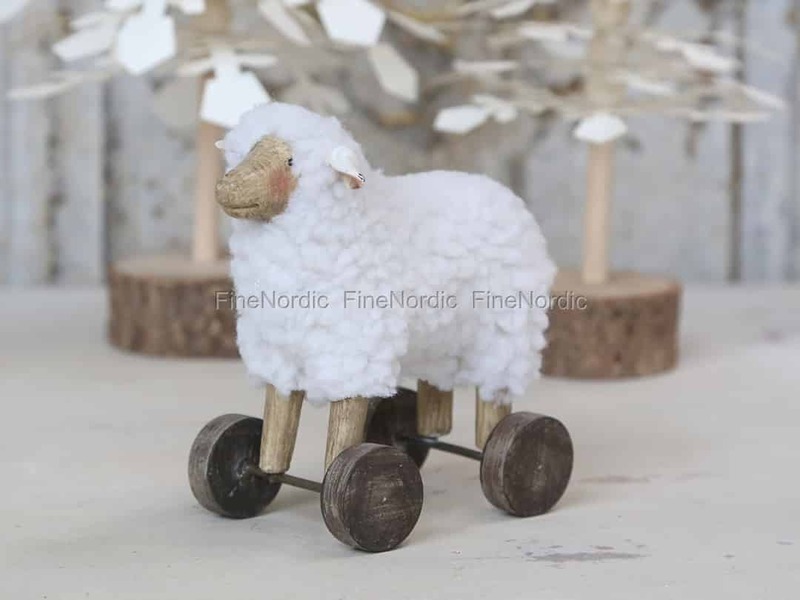 The vintage style sheep on wheels figurine is 12 cm tall, 12 cm long and 7 cm wide and it will also look fantastic on a fireplace mantel, a shelf or a window sill. Buy it for yourself or surprise someone you love with this unusual Easter gift.